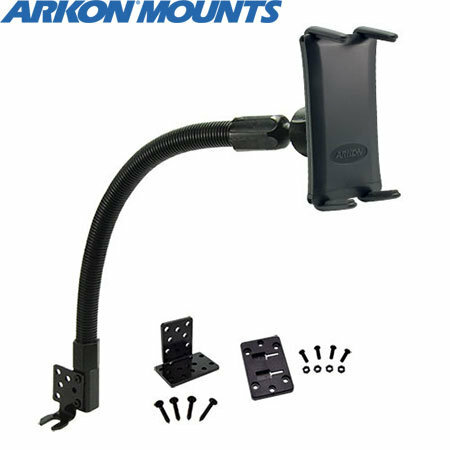 Arkon's Universal Smartphone Car Mount features an innovative holder that adjusts to fit devices up to 6.75 inches tall, even with cases on. Very sturdy, strong and ideal by far the best mobile holder ever.Very easy to fit. This is the 2nd one of these I have had and it's brilliant. Easy to fit with just a few screws. Holds the phone perfectly in place. Comes with an extra bracket that you can use to stop some vibration, I used it and it makes the holder even better than the 1st one i had. Will use these in every car i own. 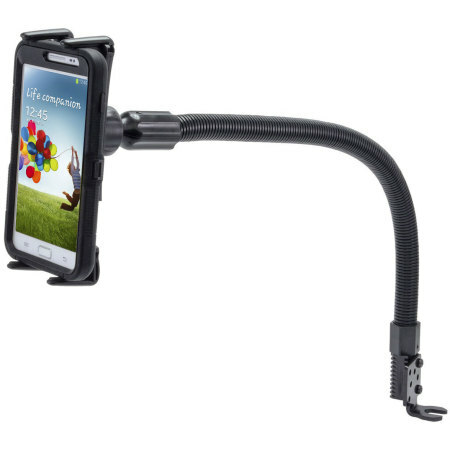 Innovative adjustable design is compatible smartphones up to 6.75"
Featuring adjustable jaws, the Arkon SM688 Universal Smartphone Car Floor Mount allows you to safely and securely position almost any smartphone within your car. Perfect for using sat nav apps on long journeys, the mount is compatible for use with smartphones up to 6.75 inches tall, even with cases on. 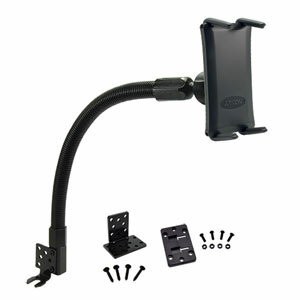 Easily installed, the 18" flexible aluminum pedestal attaches to your car's seat rail bolt. Additionally, brackets are also included for semi-permanent floor mounting if desired. The aluminum gooseneck design is extremely lightweight whilst maintaining strong mounting system which resist movement caused by vibrations, pulling and twisting. 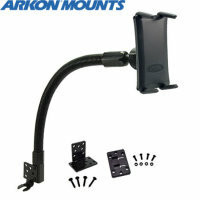 The Arkon SM688 Universal Smartphone Car Floor Mount features a unique 360º adjustable ball joint which allows you to position your tablet in a comfortable position for you or others to view it whilst you are driving. This is perfect if you're using your tablet as a sat nav or if you want to position your tablet to face the back seats in order to keep the kids happy.